Pretty exciting stuff happening here at Dream Catcher Charters of Key West lately. Dream Catchers will be adding to the fleet of already bad machines of boats with an Actioncraft Coastal bay to be the sister to the one we already have. A fully enclosed bathroom boat was in demand so we went ahead and met that demand as we always do to make our customer base happy and more loyal to us as the best in Key West fishing. Now, this boat is able to float in 14 inches of water and of course we will have a MotorGuide trolling motor with a Power pole (maybe 2) on the back to bring it in line with our very versatile fleet. Capt. Mike Behney came back into the frey here at Dream Catchers, he will be running our 32 Yellowfin on the offshore game which is where he likes to be and is most comfortable. I am happy that we were able to bring him back from the grips of the evil trog that works on the other side of the island. Welcome back old friend. Sorry for your loss Trog, you did not deserve him. Congrats to “Sparky” for getting his ticket. Nice work.. He applied for his license one week and got it the next.. Holy speedy Coast Guard batman.. Welcome aboard Sparky I already like working with you I know it will only get better..
More good stuff. Dream Catchers had a great January we were up about 10% over our best year yet which was last year. February is crazy I am sure it will be a 20+% gain once again. We are blessed not only by our current business but our repeat clientele love us.. Check us out on www.tripadvisor.com to see just what people are saying.. its very cool..
One last shout out to “Skippy”. Nice and welcome.. Looking forward to seeing all that experience you have shine for our folks here at DCC. Congrats on your new child as well, I know you must be proud. To my crew, you guys are the bomb. I am VERY happy with the lineup we have for this year so much I am writing it here for all to see. You all are really setting the bar even more than I expected and it is really showing. Your ability to all put your egos aside and work together is due-ly noted and setting you apart. I know you all are looking at our schedule and the possibilities of the future with a sideways eye, but don’t be scared.. we will be fine its just more trips to make the fall not be so lean.. We are running the best boats in the world and powered by the best motors money can buy for the nicest people we will ever know – so lets just run and have fun. Boat show was cool.. Check my notes about it at drcatcher.com I went to the show with Capt. Matt Bellinger of Bamboo Charters out of Islamorada. Great guy and lots of fun. I see great things in the future working with great people like Matt. Capt. Matt has come on board as a main player in our sister company Fishing The World this could be fun. 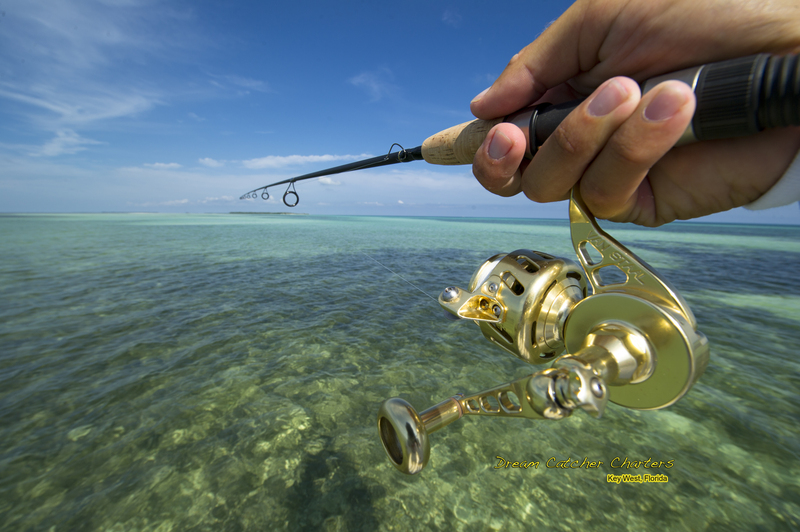 Our sister company Fishing The World Inc. just opened a new site.. afishingreport.com kinda cool, nothing there really just yet.. but, keep your eye on it, watch it grow.